Andrew Ganz September 13, 2017 Comment Now! 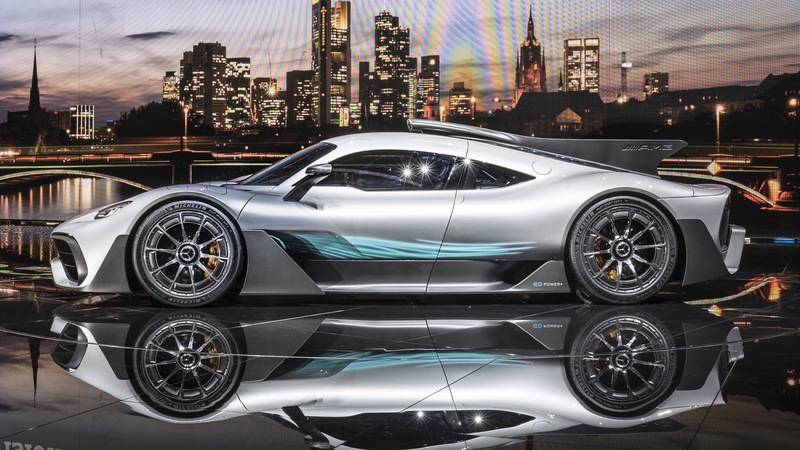 The closest thing to a homologation special we're likely to see out of Formula 1, the Mercedes-AMG Project One is one very special car. On the sidelines of the Frankfurt motor show, we sat down with AMG's Rene Wollman. His business card calls him the Project One's "Project Leader," but he's much more than that. He was the one that AMG boss Tobias Moers turned to when it came time to develop the increasingly independent division's first hypercar. Wollman's resume is diverse, as you'd expect from an automotive engineer, but what stands out is his work on the brand's SLS AMG Electric Drive. The Project One takes electrification to an entirely different level, giving anyone with a driver's license and upward of $2.7 million the world's most advanced, street-legal car. The Project One is not race-derived. It's basically a full-on race car with a body shell and a handful of concessions made for compliance in places like Europe and North America where airbags and lights are must-haves and emissions standards require that cars not spew too many hydrocarbons. Underneath its body, which was shaped as much by the wind as it was a designer's pen, lies a powertrain essentially plucked from Mercedes-AMG's W06 Formula 1 race car. Technically, what was shown off in Frankfurt is a concept car, but a real one is coming and it's going to look a lot like this. The Project One has upward of 1,000 horsepower from a 1.6-liter turbocharged V-6 mated to a quartet of electric motors. The first electric motor delivers power rearward. Two more are positioned up front to send power to each of the steerable wheels. A fourth electric motor is integrated with the turbo that both provides muscle to its compressor and captures otherwise wasted exhaust energy. Each motor has its own battery, which effectively quadruples the battery capacity compared to an F1 racer. 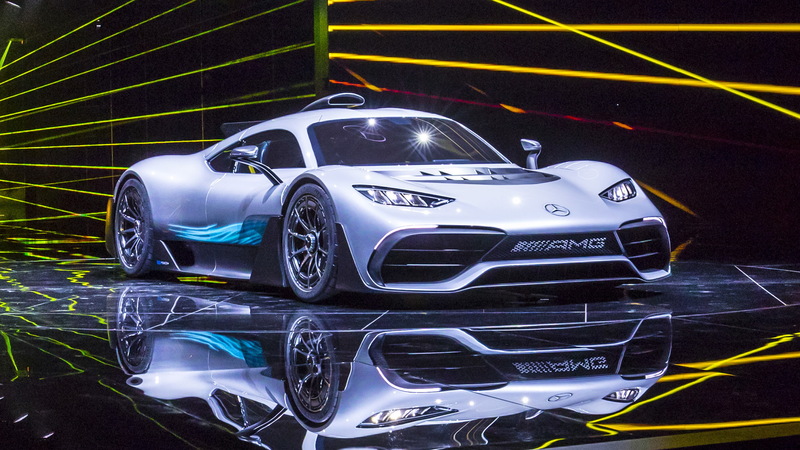 Sure, there are myriad small changes designed to help the Project One last longer than a single race, since owners aren't exactly going to drive their Project One hypercars at 10/10ths 100 percent of the time like Lewis Hamilton does with his race car. 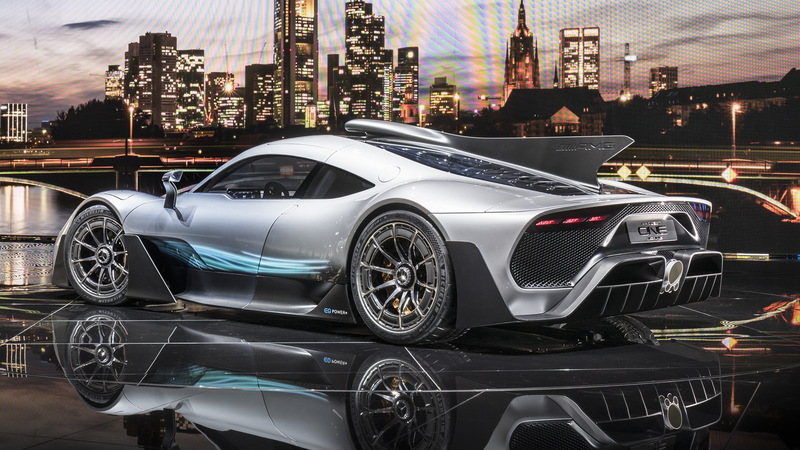 Wollman told us that the Project One is "more road car than F1 car," but that AMG uses much of the same damper technology to take on whatever pavement the hypercar is likely to encounter. Even with its F1 powertrain, this sleek two-door is no one-trick pony. Its suspension is bespoke and anyone familiar with advanced suspension technology will see that it takes advantage of Multimatic's trick gold-tinted Dynamic Suspensions Spool Valve dampers. No, they're probably not the same units used in the Chevrolet Colorado ZR2, but we're willing to bet that AMG's experience using them in the base GT coupe and convertible paid off (opt for the adjustable suspension in those cars and you won't get the Multimatic dampers). You won't see any traditional Mercedes-Benz design cues in the Project One, and that seems just fine with Woller. He reminded us over and over that what looks like a Le Mans Prototype car for the road basically is, even if its powertrain comes right from F1. Frankly, it's not an especially pretty or outlandish car—at least in the hypercar realm. If you want to be an Instagram superstar, buy an Aston Martin Valkyrie. Instead, the Project One was shaped by the wind tunnel. Its carbon fiber-rimmed wheels serve to both enhance high-speed aerodynamics and to ventilate the wheelhouse area. Active spoilers are everywhere. They'll pop up to add downforce when called upon by the driver's right foot. The Project One is also light, but we won't know just how lithe it is until the production car hits the road. Today's hypercars are eco-conscious—well, some are. 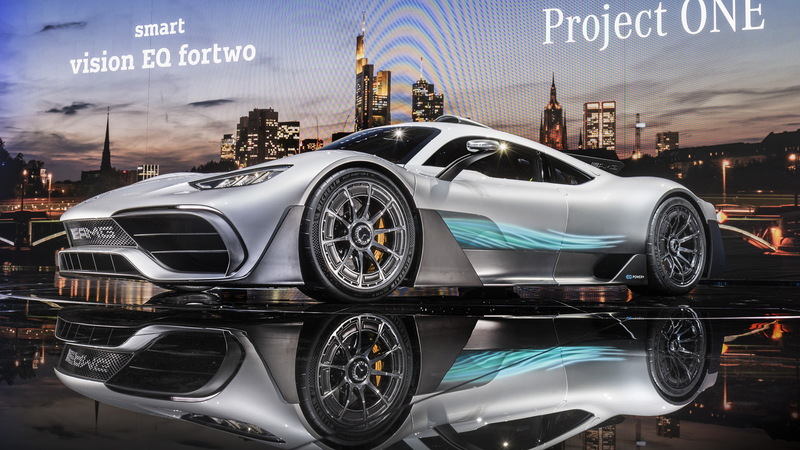 The AMG Project One can motor for about 15 miles on purely electric power when its drive controller is slipped into EV mode. While some owners might not want to disturb their neighbors with a ferocious, race-bred exhaust snarl, it's more likely legislation that's forcing the idea of electrification into automakers' heads. Cities like London are inching closer to kicking combustion engines out of their urban cores, so a gas-free mode makes it easy for well-heeled owners to slip around Chelsea in silence while still attracting lots of attention. 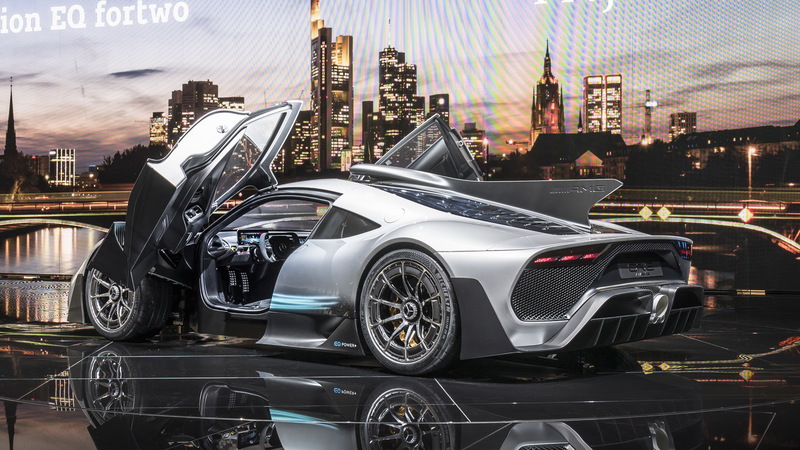 Mercedes tells us it plans to build 275 examples of the Project One between 2019 and 2020. If you're thinking that now is the time to place your order, well, you're too late. More than four times that many AMG enthusiasts have already raised their hands to spend the roughly $2.72 million to buy one. Imagine those phone calls when AMG has to let three out of four interested parties know that they're not going to get a Project One. So, maybe don't call your local Mercedes dealer and ask them how much, OK?